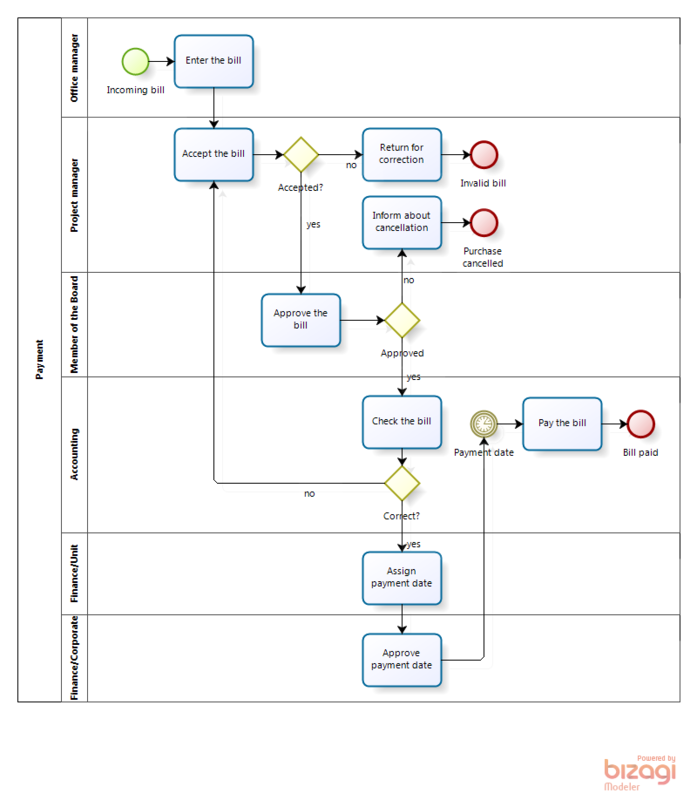 Formally it’s a correct BPMN but in essence, it isn’t a business process. “Accounting department business process” is nonsense. Another nonsense is the “Employee daily business process” starting at 9:00 am. The argument “but we’re working this way so it’s our as-is process” doesn’t work. Our activities can be considered from different perspectives - there is functional view and process view. Here is an employee A and here is an application screen for his/her job. He/she should pressed F5 regularly throughout the day to see submitted bills and transfer them from “received” to “approved” or “rejected”. And here is employee B and an application screen where he/she can see the approved bills. They should be transferred to “accomplished” - it’s the business process. How to switch from functional to process thinking? Forget about performers for a while and take a look at the same set of activities from business object perspective. For the process under consideration the bill is such a business object. Tell us the story of a single bill: what happens to it? Who, what, in what sequence should do with it? One bill is one instance of the business process. It’s a paradox that only advanced BPMN users who’ve got the idea of ​​modeling inter-process communication become the victims of functional mindset. 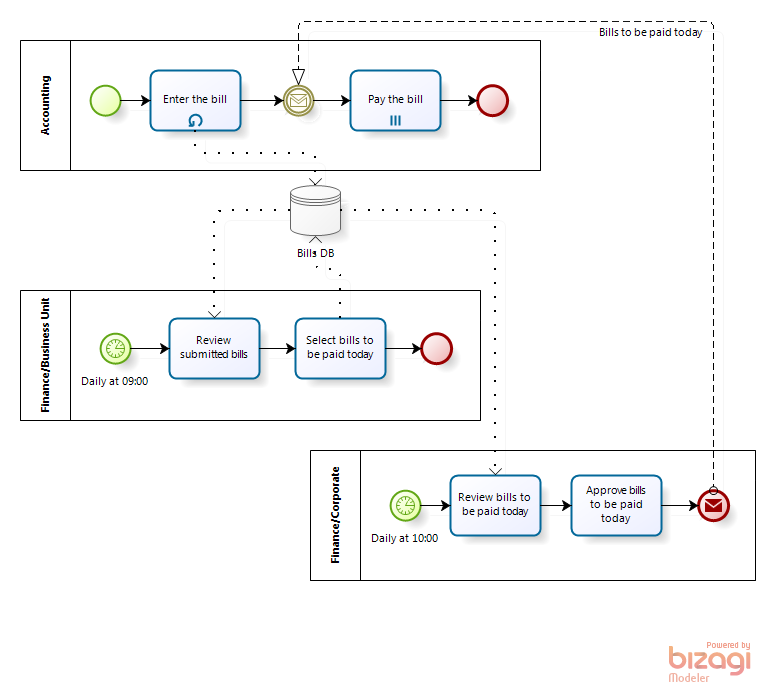 Business people knowing only basic BPMN elements intuitively get the true process view; they’d hardly understand the first diagram, let alone drawing something like this.